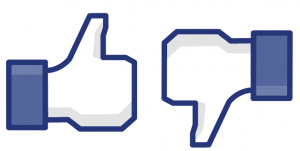 Do Facebook “Likes” Have Legal Implications? First, the good news. Last year, the Fourth Circuit Court of Appeals determined that “liking” something on Facebook is protected speech. When a deputy sheriff was fired for liking the campaign page of his boss’s opponent, he filed suit alleging he was fired in violation of constitutionally protected activity. 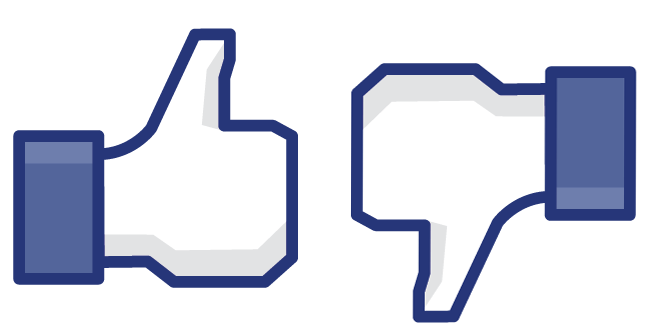 While the lower court did not see how a like could be political speech, a unanimous appeals court did, and failed to see the difference between “liking” a page and putting a picket up in one’s front yard. If the deputy had been fired for putting up a sign in his yard, he certainly would be entitled to file a lawsuit. In today’s day and age, a Facebook page is similar to one’s front yard on the Internet. Next time you like something on Facebook, keep in mind that you may be engaging in protected speech. While it will vary from case-to-case and state-to-state, your “likes” on Facebook may be admissible against you in a court of law. For example, say someone who “likes” Kung Fu movies, Pulp Fiction, and Fight Club is standing trial for assault, and takes the stand testifying that they don’t like violent movies or anything involving violence, those likes could be introduced to attack the credibility of that person. Furthermore, if someone creates a page intent on spreading false information on someone, and that page gets several “likes” it may support certain elements of a libel action against that person. Before you “like” something, keep in mind that anything you click may be used against you in a court of law. Well, at least if you “like” General Mills or any of their products. According to their ambitious new legal terms, every time you “like” one of the company’s brands, you are agreeing to arbitration and waiving your right to sue them in court. While this may not seem like a big deal, the way the policy is worded, it may extend beyond “likes” and even into buying products in the grocery store. And “like” it or not, the implications here are serious: if a legal challenge arises, say, from an employee intentionally poisoning customers, lawyers will likely first attempt to demonstrate how the policy is unconscionable or otherwise unenforceable before the case could proceed. Whether or not this challenge is successful, it will be long and expensive, which does not help either party in the long run. Perhaps most disturbingly is that often times, these brand’s Facebook pages have special offers or coupons for “likes.” If this type of policy becomes the norm, many customers who are injured or duped, even by the very offer they “liked,” they may find themselves with limited legal recourse. These terms came after several lawsuits against the food giant. Apparently, General Mills believes that taking away their customers’ ability to sue is the best way for them to hang onto their lucky charms. Although Facebook is primarily a social networking tool, keep it in mind that it is also an expansive stockpile of personal information that can be viewed by marketers, employers, police investigators, and legal professionals. Before interacting with any social media platform, beware that the implications of your clicks go far beyond your computer screen and your immediate social network.